In a way, the player is trying to maintain a peaceful and natural world by fighting back the corrupt and twisted creatures that don't belong. Dang. That's a pretty nice theory. I never realized that before. For passive mobs, the closest thing to a fantasy creature would be the Mooshroom, which is basically a cow on shrooms. Not the most fantastical idea, though possibly an exception nonetheless. Neutral mobs are a harder spot, but on average, fantastical neutral mobs are more inclined to fight. And almost every single hostile mob is fantasy. Whether they be Zombies or Endermites, none exist in real life, except for the exception (there's always an exception): Silverfish. Ah, anyways. Yeah. Merpigs. Well, if we're on the mermaid theme, we might have to consider adding mermaids too. Or just some other sea ride if we're not doing that. The current Merpig model (going off OP's avatar) seems like a dolphin with a pig head, especially from the color scheme. I think a more accurate way to phrase the above would be "some people" "sometimes". When some people design characters, they sometimes use tropes in which beauty equals goodness. It is not a rule. Things that are mainstream or more common are just that (mainstream or common) that does not make them rules or a singular approach to visual design or character development. I didn't just mention things that are mainstream, I also mentioned the fact that these forms of character design appeal to human phsycology. Tall things are menacing, dark things are mysterious, slimy things are creepy, etcetera, etcetera. For example, recent Best Picture Oscar awardee didn't go with traditional or mainstream ideals of beauty for their protagonists, and their average appearing antagonist was shown as 'ugly' through his treatment of others. I don't want to get super political here, but the Oscars, like most modern TV shows, tend to be very left-wing in their politics, including special treatment of minorities. Those kinds of TV Shows or people love to praise movies that make "bold moves" by throwing off long-held traditions. Which is stupid, because some tradition or mainstream action was set in place because of very good reasons. You're also mentioning that the antagonist was shown as ugly through his treatment of others... Which still appeals to basic human psychology and is exactly what the zombies do. They treat others in an ugly way. Dis one was from Wolftopia but I'm not bothering to fake a quote properly because that's too hard. The current Merpig model (going off OP's avatar) seems like a dolphin with a pig head, especially from the color scheme. Uhm no? It doesn't look like a dolphin with a pigs head. The only thing even close to a dolphin on this is the colors. Dolphins have tail flukes that face upwards, while the merpig has a tail fluke that faces to the size. The merpig is also very fat like a pig, and like most other aquatic mammals, it has to have flippers. Although, I do see where you are coming from with the colors. That may or may not change in the future. You missed the second part of my argument. You can tell the difference between the badguy mobs and the goodguy mobs by their appearance. Evil mobs tend to be hybrid, mutated or otherwise unnatural mobs, while good mobs tend to be natural and unaltered. By that logic shouldn't villagers be evil too since they are abominations too? Not to mention zombie and skeleton horses are passive mobs to (not including skeleton rain event thing). Although this idea may not be accepted by Mojang since its a grain salt in the ocean, it is a good idea non the less. Regardless of other forms of transportation are better Minecraft is a game that can become your game, Not only would it be possible to acquire pre-never but overall water based transportation is bland; you got run fast in water, or ride boat. If I want to say go find a sea temple or the new sea treasure, I would ride a merpig in my game. By that logic shouldn't villagers be evil too since they are abominations too? Not to mention zombie and skeleton horses are passive mobs to (not including skeleton rain event thing). Boats are one of the best ways to explore a new world. Find new islands or continents, a place to settle, find structures on land or ocean monuments. And, boats on ice are one of the fastest way to travel, e.g. in the end. Boats are great for traveling somewhere for the first time if you don't want to use tools like AMIDST. But once you've found the coordinates of a new biome, Nether Portals save you time and world size. Minecarts, especially in the nether are convenient ways to travel medium distances. Also, on a multiplayer server, it a is a great way to tour a new town, it can just be awesome to take a ride through a built up area. Not to mention roller-coasters, its just so much fun to build! I don't see both being obsoleted by Nether Portals, the same way as walking isn't made obsolete by horses. Walking isn't obsoleted by horses, horses are obsoleted by walking, and minecarts to an extent. I never use horses, and I might use Minecarts once in a while, but sometimes I don't even want to bother with a minecart because it's expensive to build and the tracks need to be protected or they get covered with mobs. Every time you ride a minecart or boat through a chunk, the blocks in that chunk are stored in your RAM. Every time you leave a chunk, the game has to save that chunk and get it out of the game's memory using a "garbage collector". Minecraft already uses a lot more RAM than it should, and the garbage collection is often far too slow to keep up with the game. Most natural things don't help you, but are victims to be slaughtered, cows, pigs, chicken, sheep. Or they get used, like horses and mules. Most helpful creatures are actually abominations or at least not natural: Snowman, Iron Golems, Villagers (they are not meant to be human, really, cousins of illager, witches and other abominations). First off, I already said what I have to say about the Villager. The Snowmen and Iron Golems are creations of the player or Villagers, because the player can build abominative things in the game, just as he can build beautiful things. Though I guess I agree about the pigs, cows and such being victims. Players maintain a peaceful world by abusing and slaughtering animals?? Ah, well, maybe it's natural. Wolves kill sheep and Ocelots kill chickens... Looking at their real-life counterparts you can see that they were made for the purpose of killing other animals for their meat. When the player kills animals, he is participating in this natural circle of life. The Zombies and Skeletons, as you can clearly see from their appearance or their counterparts in other media, are not a natural part of the circle of life. Their clothes are torn and since they don't have working nervous systems, something unnatural is controlling them. Fighting back also doesn't work well, as mobs spawn endlessly. Well yeah... Minecraft doesn't have an endgame. A lot of abominations are actually peaceful and the point seems more to get along with them (ever tried to kill all pigmen, or endermen? ;)), or avoid them, but fight. And yet Zombies and Skeletons come after you in wave after wave. Endermen will attack if you so much as look at them, besides vandalizing your world. Pigmen, I'll admit, are the odd ones out in this pattern, although the fact that they carry so much gold is a little suspicious... Same goes for Guardians, I guess.. This picture totally breaks down in my eyes when it comes to squids: One of the most abundant creatures, totally scary, but utterly harmless, a victim of cruel ink sack hunters! Scary doesn't mean unnatural... wait... do you really think Squids are scary? I think the Merpig could fit, but if you saw the previous model, it was simply a pig head on a fish before, which looked unnatural. I like the new one because it looks natural. Turtle shells don't give infinite water breathing. Whenever you go underwater, the time starts running out. I disagree with C1FF. Minecraft usually tries to avoid stereotypes and I like it that way. They usually try to be unique. Such as adorable slimes. Maybe that's just my opinion but still. Anyways, the merpig looks great. They should replace dolphins because now dolphins are useless basically. I agree with this. Yes. Stereotype of animals eating each other?!? When have slimy, evil, creepy things not been evil? Don't say the little ones are peaceful, that's just because they have no attack damage and no knockback when attacking you. 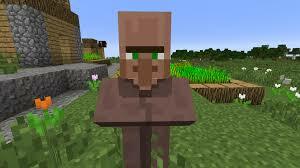 - The Villagers are endangered by Zombies and their only protection from them are Iron Golems which barely work. You could say that these iron golems are natural beings, but the Golems can be created by a player. I doubt they are a natural part of the Villager's defense. - If that wasn't enough, Villagers are scarce and hard-to-find, while Zombies are numerous. This contradicts the balance between predators and prey, where predators are less populous than prey. The Iron Golems are not enough to handle the waves of Zombies, if that wasn't obvious by their slow, clunky movements. This is where the player comes in. While he doesn't have to be, he is the only person in the Minecraft world that can save the dying ecosystem. Alright, I don't think I can continue this long discussion without going offtopic. Let's get back to merpigs, shall we? Yeah merpigs are pretty dope, amiright? Your making a mod with it? Is it done?